Take a timeless journey combining the wonders of Cairo with a luxury cruise on the legendary river Nile. In Cairo you will spend 3 nights at the exquisite Villa Belle Epoque, a comfortable and intimate hotel located in the leafy suburbs of the city's Maadi area. From here you can enjoy your time visiting the Great Pyramids and Sphinx at Giza with lunch at the famous Mena House Oberoi or take in the treasures of Tutankhamun at the Egyptian Museum. On the Nile you will spend your time aboard the luxurious Alexander The Great for a 4 night cruise. The sleek Alexander The Great offers a sophisticated cruise experience with exceptional standards and smart accommodation. With an initimate atmosphere, tasteful decor and stylish furnishings, it is the perfect way to cruise the Nile in style. The itinerary takes you from Luxor to Aswan, visiting some of the most spectacular ancient sites in the world including the stunning Valley of the Kings, the burial place of the Pharoahs and the breathtaking temples of Karnak and Luxor. In Aswan you will see the Unfinished Obelisk and the old granite quarries plus the fantastic Temple of Philae, famously featured in Agatha Christie's Death on the Nile. Day 1: Fly from London Heathrow to Cairo. 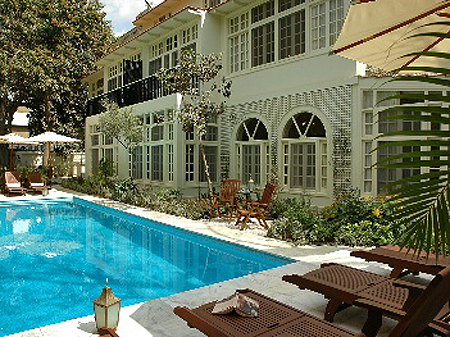 Upon arrival transfer to the boutique Villa Belle Epoque for a 3 night stay. Day 2-3: Time to abosrb this bustling and vibrant city. 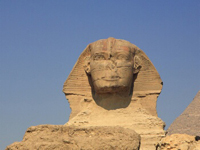 Take advantage of our optional trips as a visit to Cairo would not be complete without seeing the Great Pyramids, the Sphinx at Giza and the Egyptian museum. Day 5: An early morning visit to the Valley of the Kings, Hatshepsut's Temple and the Colossi of Memnon. On arrival back at the boat, a buffet lunch will be served and the boat will set sail for Esna. Afternoon tea will be served on The Club sun deck. In the evening enjoy a welcome cocktail and presentation of the yacht's crew in the lounge bar (smart dress). After an a la carte dinner in the restaurant, watch a Nubian dance show in the comfort of the lounge bar. At some stage during the evening the boat will pass through the lock at Esna then docks overnight. Day 6: Early morning sail to Edfu. Wake up at leisure and after breakfast, visit the Temple of Edfu. 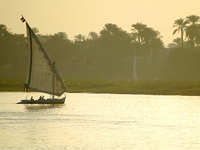 Afterwards, the boat will sail to Kom Ombo while you enjoy lunch in the Red Fiesta restaurant. In the evening there will be a BBQ dinner on the sun deck with the opportunity for guests to dress up in traditional Egyptian costumes. Overnight Kom Ombo. Day 7: Early morning sail to Aswan. Morning tour by felucca (sail boat) around the islands. Lunch on board. In the afternoon, visit the High Dam, the Unfinished Obelisk and the Temple of Philae. Overnight on board in Aswan. Day 8: Disembark. Optional excursion to see the magnificent temples at Abu Simbel available either by coach (approx £65) or by air (£130) before transferring to Cairo for the return flight to the UK. Please note that there maybe child age restrictions on this cruise.